Right time. Right place. Right concentration. Following the previously successful ones, the 8th Annual Course on the BBB in CNS Drug Development is organized in 2017! This course addresses the latest insights on role and functions of the Blood-Brain Barrier (BBB) and intra-brain distribution in research concerning drug development regarding drugs aimed for a target within the CNS or drugs aimed to stay outside of the CNS, and will address also CNS drug delivery and CNS diseases. It provides in depth insight in the complex function of the BBB with regard to transport kinetics in health and disease. There is a high unmet medical need in the treatment of CNS diseases and this problem is getting worse as the number of people suffering from CNS diseases is growing. This implies that there is a huge market for new CNS drugs. However, the development of new CNS drugs is notoriously difficult. For a proper CNS effect the drug should have the ability to cross the BBB and then to reach the relevant target site within the CNS by adequate intra-brain distribution. Also drugs that are aimed to have a peripheral action, but may bear risks for CNS side effects can be better optimized with more knowledge on BBB transport and CNS side effect site distribution. 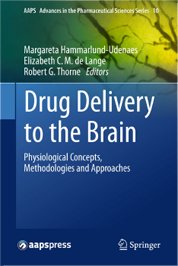 Thus, knowledge on the physiological and pharmacokinetic aspects of drug delivery to the brain and distribution within the brain compartments is of utmost importance for all drug delivery scientists. Also medicinal chemists need further knowledge on pharmacokinetic principles of CNS distribution to be guided in finding more optimal molecules for CNS action or for the avoidance of CNS side effects. This course will be of benefit to researchers from Academia, Big and Small Pharma Industries, Regulatory Agencies and Contract Research Organizations with a need for better understanding of the BBB and factors that determine CNS target site distribution of drugs. A general understanding of physiology and minimal knowledge of differential equations is expected (some information can be provided upon request). 13.30 – 14.30 What Parameters to Use in CNS Drug Development? “I found the course to be very valuable for my present work”: Average 9.2 on a 1 – 10 scale, where 10 is “very much”. “I would very much like to recommend this course to colleagues”: Average 9.3 on a scale 1 – 10, where 10 is “very much”. The course will take place at Clarion Hotel Gillet, Dragarbrunnsgatan 23, 75320 Uppsala, Sweden. Phone +46 18 68 18 00, email cl.uppsala@choice.se, homepage www.nordicchoicehotels.se/clarion/clarion-hotel-gillet/. Clarion Hotel Gillet is a 4 star hotel located in the center of Uppsala, 5 – 10 min walk from the train/bus station. The course fee includes course attendance, course material, lunches, dinners, coffee/tea at start and during breaks. It does not include accommodation. For participant not based in Sweden, payment of VAT is not needed. For participants based in Sweden, VAT is 25 %. *PhD students should accompany this form by a letter of their supervisor to ensure the status of PhD student. A specified invoice can be made upon request. Registration is complete upon receiving the payment. A confirmation of payment and therewith registration will be sent by email. In case of cancellation before July 1st 2017 payment will be restituted (-10% administration costs). In case of cancellation after July 1st 2017 there will be no restitution, but the participant may be exchanged for another participant. Elizabeth de Lange is Head of the Target Site Equilibration group of the Division of Pharmacology at the LACDR. She obtained her PhD on The Use of Microdialysis to Study the BBB Transport Characteristics of Drugs. Her ultimate aim is to aid in the prediction of the dose-response relationship of CNS drugs in the clinical setting, on the basis of preclinical data (translational research). Her research involves the identification and characterization of the rate and extent of key factors in the dose-response relationship of CNS drugs in health and CNS disorders. 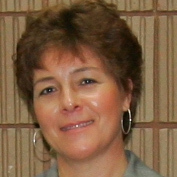 Dr de Lange’s current research involves the use of advanced preclinical research (e.g. including microdialysis, EEG monitoring, PET scanning) and advanced pharmacometrics (Systems Pharmacology). 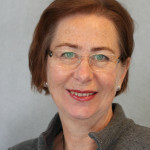 Margareta Hammarlund-Udenaes is a Professor in Pharmacokinetics and Pharmacodynamics at Uppsala University and head of the Translational PKPD Group. Her research is focused at studying pharmacokinetic aspects of BBB transport of drugs in relation to CNS effects, which has led to the development of new concepts within the BBB transport area, focusing on unbound drug relationships. The concepts make it possible to study the BBB contribution to drug transport to the CNS. A method frequently used is microdialysis, but also PET and other techniques are utilized. Her research group has also optimized in vitro methods for more rapid screening of BBB transport properties in drug discovery. Dr Hammarlund-Udenaes is an Associate Editor of Pharmaceutical Research and a member of the Editorial Advisory Board of Journal of Pharmaceutical Sciences and Fluids and Barriers of the Central Nervous System (FBCNS). She became an AAPS Fellow in 2005 and is a frequent lecturer at conferences and in drug industry within the BBB transport – pharmacokinetics area. She co-founded and has co-chaired several of the International Symposia on Microdialysis in Drug Research and Development together with Dr de Lange. 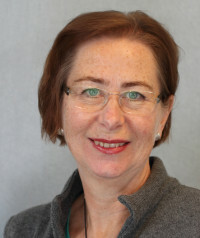 She is the Chair of the Gordon Conference on Barriers of the CNS in 2014. Her company Udenaes Consulting (udenaesconsulting@gmail.com) gives advice to drug industry in PKPD and BBB transport issues. The Clarion Hotel Gillet has nice facilities including a spa and a restaurant. Uppsala has other hotels within walking distance within all price categories. For information on other hotels, please visit Hotels.com or Booking.com.